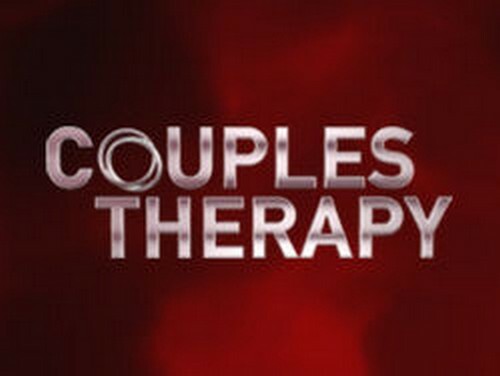 Tonight on VH1 is the 4th season premiere of COUPLES THERAPY called, “Therapy Begins.” Tonight’s show opens with celebrity couples arriving to therapy. Couples include Jon Gosselin and Liz Jannetta; Taylor Armstrong and John Bluher; and Whitney Mixter and Sada Bettencourt. On this season’s show it is more explosive and dramatic than ever as Dr. Jenn and her staff explore new relationship territory with the series’ first married lesbian couple, and one couple’s relationship is so fragile it breaks just as therapy is getting underway. This season’s couples include Taylor Armstrong from The Real Housewives of Beverly Hills and her partner John Bluher, Ghostface from The WuTang Clan and his partner Kelsey Byers, Jon Gosselin from Jon and Kate Plus 8 and his partner Liz Jannetta, Sada Bettencourt and Whitney Mixter from The Real L Word, and finally Farrah Abraham from MTVs 16 and Pregnant and Teen Mom. On tonight’s show couples Therapy Season 4 begins with a new group of celebrity couples with extreme issues coming to therapy with Dr. Jenn Berman and her staff for help healing their broken relationships. Shockingly, one of the women is stood up by her boyfriend at the last minute and she arrives alone and heartbroken, and another couple’s trust and fidelity issues explode before therapy can even begin. Tonight’s episode is going to be another drama packed one, which you won’t want to miss. So be sure to tune in for our live coverage of VH1’s Couple’s Therapy Season 4 Premiere at 9PM EST! While you wait for our recap, hit the comments and let us know how excited you are about the new season of Couples Therapy tonight. Tonight starts season 4 of Couples Therapy on VH1 with Dr. Jenn Berman. As in previous seasons this is where we really get to meet the couples. First up is The Real Housewive’s of Beverly Hills alumni, Taylor Armstrong and her boyfriend, John Bluher. They met about two years ago when Taylor was first going through her divorce from Russell Armstrong and forged a good friendship. John is the guy who has supported her through Russell’s suicide and all of the Post Traumatic Stress Disorder that has followed her abusive first marriage. They are coming to therapy as a preemptive move. Taylor’s anxiety really creeps into their relationship and they want to try and get it under control while they’re still happy together. Ghostface Killah and Kelsey Nykol are up next and he says that he loves her because she’s a “clean woman” and he likes his chicks clean. Wow, could they possibly be on any different pages? She is trying to figure out if it’s true love and Ghost seems indifferent at best. She praises him to death and looks like a smitten school girl but I get the feeling Ghost is one hell of a player. He also doesn’t want to be there. He says if he needs therapy he can talk to himself. Whitney Mixter and Sada Bettencourt got together on Showtime’s The Real L Word and by the end of the third season they got married on the show. Their relationship is super fiery and they seem to fight over absolutely everything. Whitney and Sada own a clothing line and can’t seem to agree on business either. Whitney seems to function as the caretaker and Sada micromanages details. Together they seem to clash over every little thing. Farrah Abraham is well known for her stint on Teen Mom and then for that nifty Backdoor Teen Mom video that she shot last spring. She claims that she was supposed to be meeting her boyfriend of 5 months at the house for Couples Therapy but the night before they were to arrive he cut off all contact with her. I have to wonder if she set the whole situation up just to get herself through the front door of the house. Dr. Jenn decides that Farrah can stay, for now. Everyone that has arrived so far is ushered into a group therapy session. Farrah gets to explain why she’s alone and Dr. Jenn uses it as a moment to point out that it can be Farrah’s rock bottom. She believes that she contributes to people leaving her and that she obviously needs to choose different people in her life. The group seems to support Farrah being there and figuring herself out. Everyone sits down to their first family dinner and Ghostface feels like Whitney and Sada gang up on him. He insists he is there to support Kelsey in therapy rather than realizing that they need help as a couple. Kelsey and Ghostface get into a heated conversation over whether or not he has other women. Tune in next week for more Couples Therapy.